Today I am going to be reviewing one of the products that I received in my August Glossybox. Being a Vegetarian/ Vegan its always nice to come across beauty products that reflect my lifestyle. 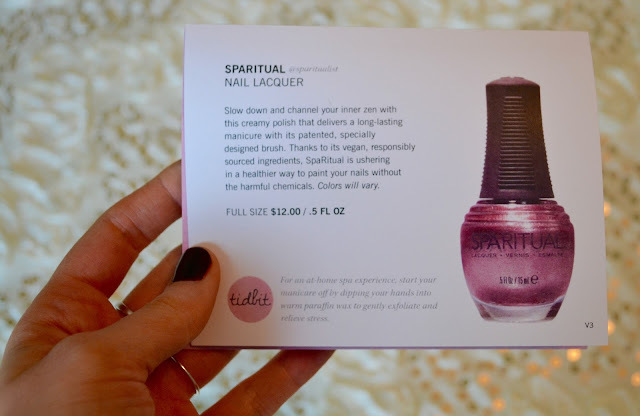 So when I got this vegan nail lacquer from SpaRitual, I couldn't wait to try it out. Their nail lacquers are vegan and are formulated without DBP, toulene, formaldehyde and formaldehyde resin. According to the website, the color "I Feel The Earth Move" is described as a brown black creme. 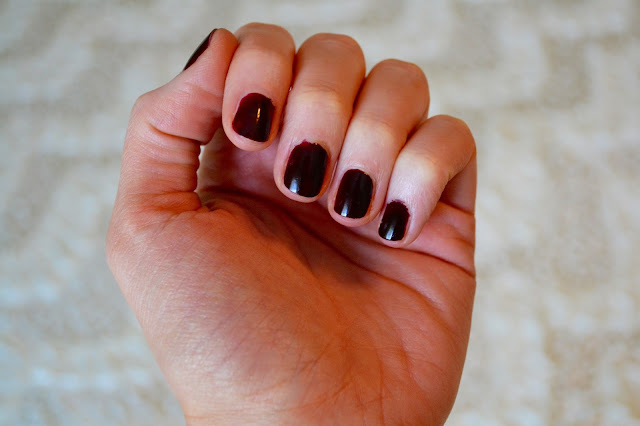 Since we are heading into the fall, I figured this would be the perfect color to welcome in the cooler weather. The lacquer went on beautifully and all I needed was two coats to achieve the opaque color I wanted. It definitely resembles more of an oxblood/merlot type of color. Plus it dried very quickly which is always a bonus! 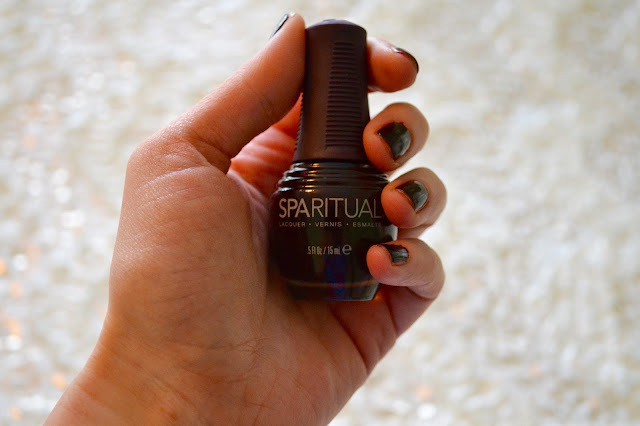 I would have to give this nail lacquer a thumbs up! Pun intended ;) For the price, I am looking into purchasing some other colors from the brand as well.